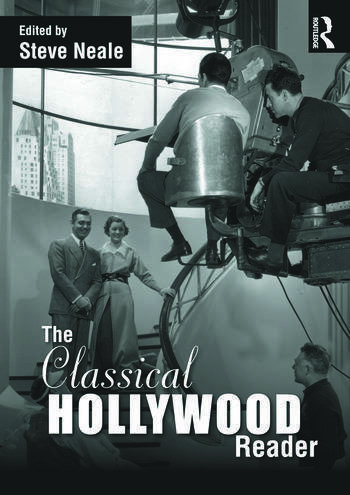 The Classical Hollywood Reader brings together essential readings to provide a history of Hollywood from the 1910s to the mid 1960s. Following on from a Prologue that discusses the aesthetic characteristics of Classical Hollywood films, Part 1 covers the period between the 1910s and the mid-to-late 1920s. It deals with the advent of feature-length films in the US and the growing national and international dominance of the companies responsible for their production, distribution and exhibition. In doing so, it also deals with film making practices, aspects of style, the changing roles played by women in an increasingly business-oriented environment, and the different audiences in the US for which Hollywood sought to cater. Part 2 covers the period between the coming of sound in the mid 1920s and the beginnings of the demise of the `studio system` in late 1940s. In doing so it deals with the impact of sound on films and film production in the US and Europe, the subsequent impact of the Depression and World War II on the industry and its audiences, the growth of unions, and the roles played by production managers and film stars at the height of the studio era. Part 3 deals with aspects of style, censorship, technology, and film production. It includes articles on the Production Code, music and sound, cinematography, and the often neglected topic of animation. Part 4 covers the period between 1946 and 1966. It deals with the demise of the studio system and the advent of independent production. In an era of demographic and social change, it looks at the growth of drive-in theatres, the impact of television, the advent of new technologies, the increasing importance of international markets, the Hollywood blacklist, the rise in art house imports and in overseas production, and the eventual demise of the Production Code. Designed especially for courses on Hollywood Cinema, the Reader includes a number of newly researched and written chapters and a series of introductions to each of its parts. It concludes with an epilogue, a list of resources for further research, and an extensive bibliography.